On February 10, Luka Doncic scored twenty-eight points and grabbed nine rebounds in thirty-eight minutes of play for the Dallas Mavericks. One day later, the Slovenian professional basketball player is celebrating that win and also an off-court deal with Fanatics. Doncic has entered into an exclusive deal with the memorabilia division of Fanatics, called Fanatics Authentic. It provides Fanatics Authentic the right to be the sole distributor of Doncic autographs and collectibles. 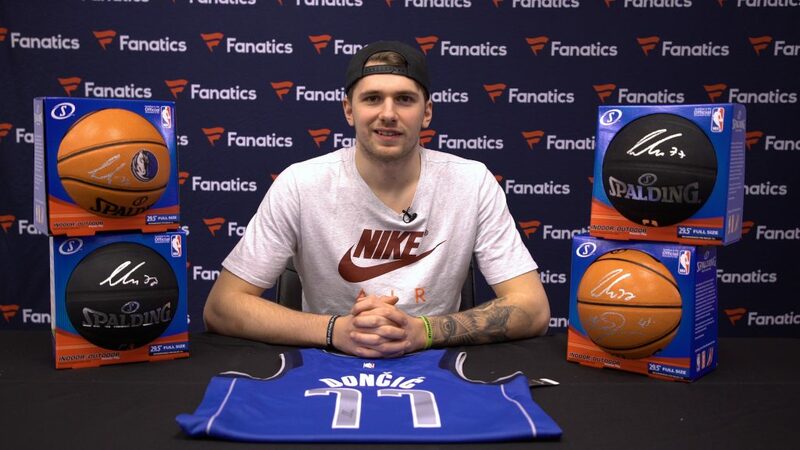 Doncic joins other Fanatics Authentic exclusive athletes such as Joel Embiid, Klay Thompson, Giancarlo Stanton, Aaron Judge, Kris Bryant, Jared Goff and Peyton Manning. Fanatics Authentic was interested in scooping up Doncic during his rookie campaign, as he looks to have a very bright future ahead of him in the NBA. Doncic is only nineteen years old, but is already a key part of the Mavericks’ success. Interestingly, he says it is easier for him to score in the NBA than it was in Europe, where he played during his teenage years. Hopefully it stays that way for Fanatics Authentic, because that should only increase demand for Luka Doncic memorabilia.